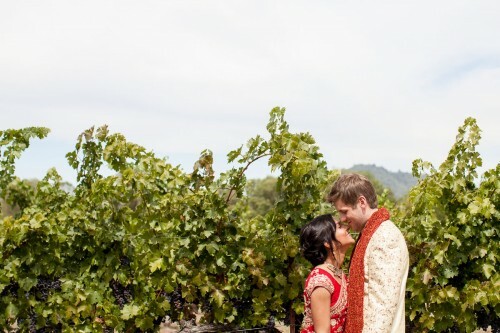 Having a wedding in the wine country has many perks. One perk of course are the countless great wedding venues to choose from. 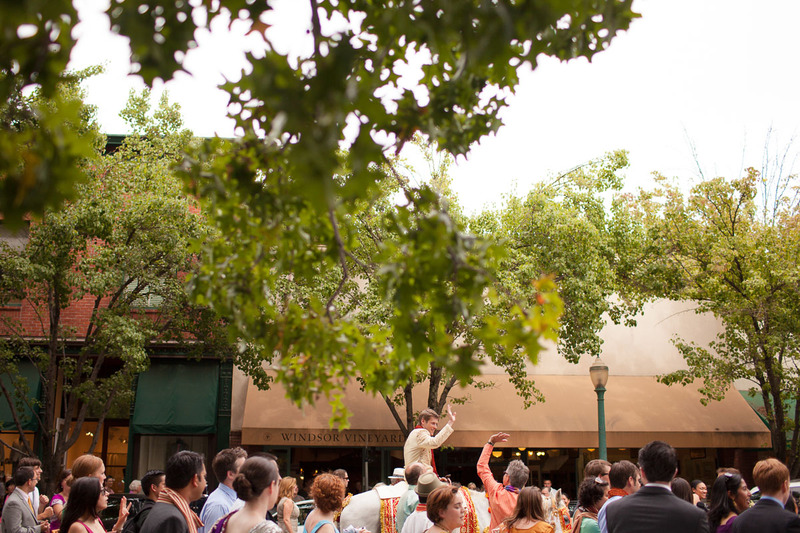 Another is the fact that the Sonoma Wine country offers many things to do for guests visiting from out of town. From wine tasting, to great hikes and world class biking, to some of the most acclaimed micro breweries in the country, there's something for everyone. When Shilpi and Bryan decided that they wanted a wine country wedding, they were looking for a venue that would best reflect their personalities. 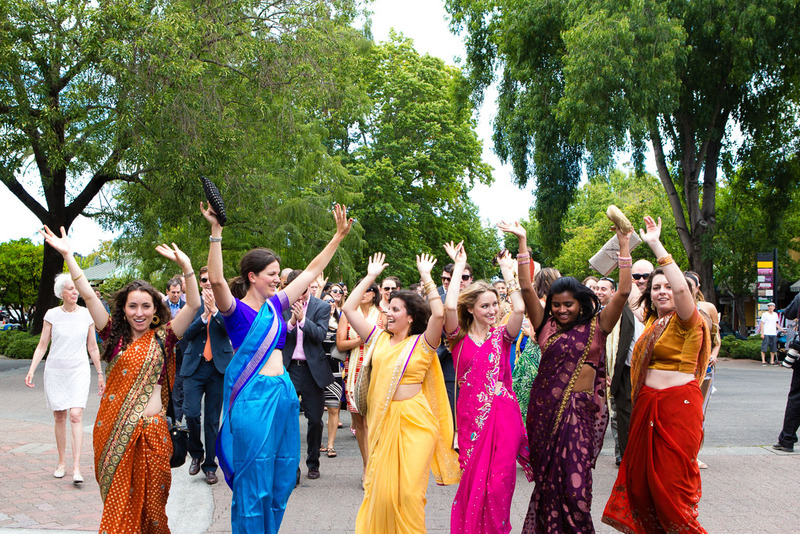 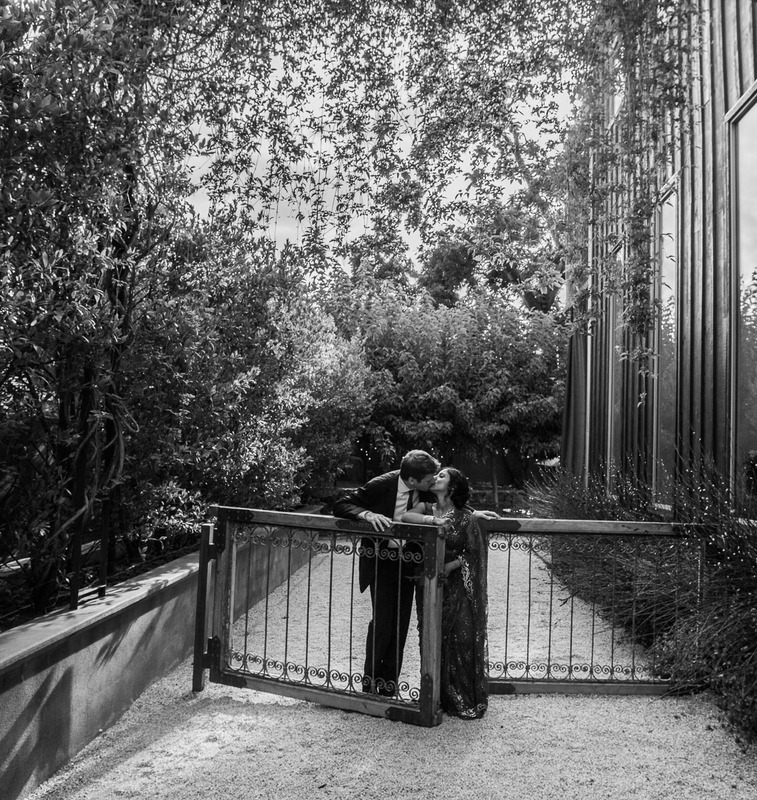 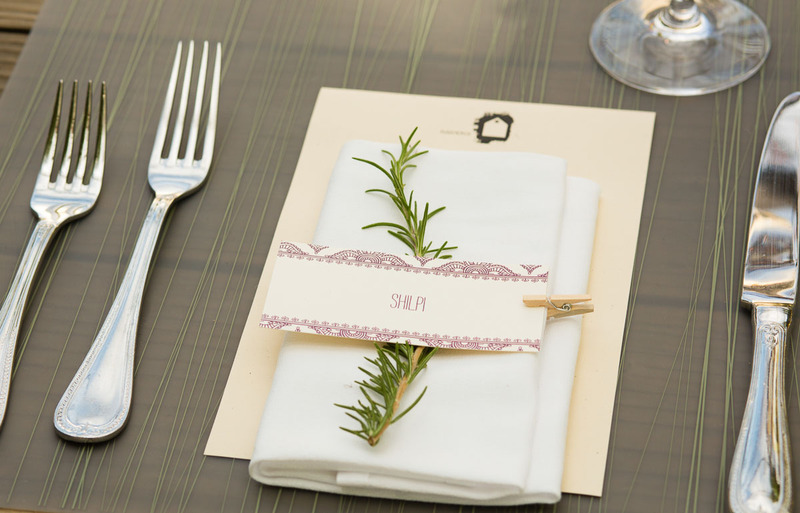 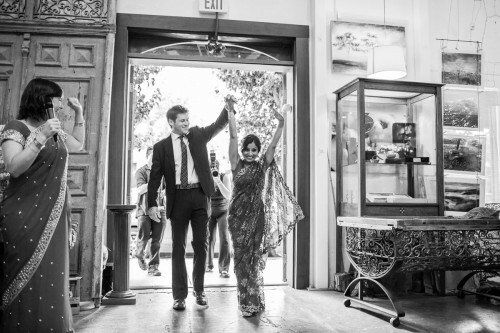 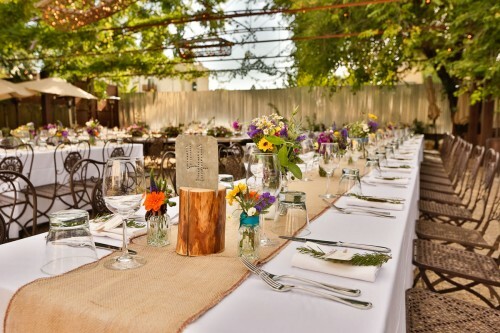 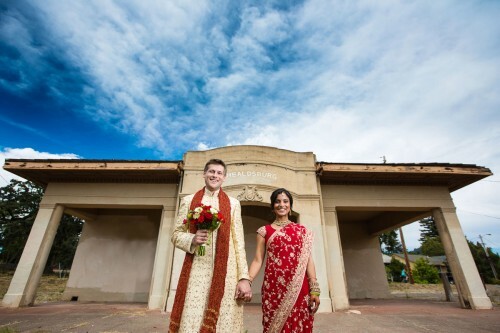 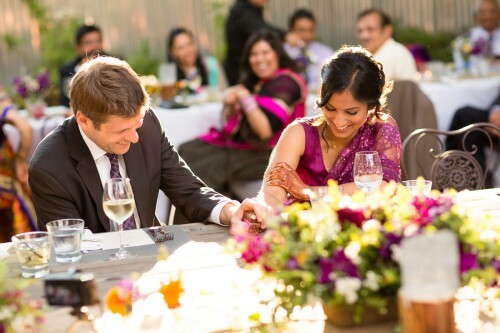 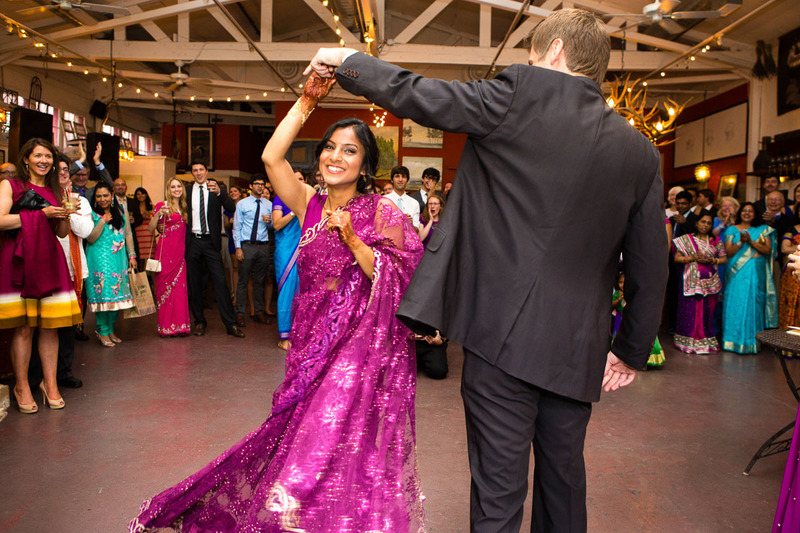 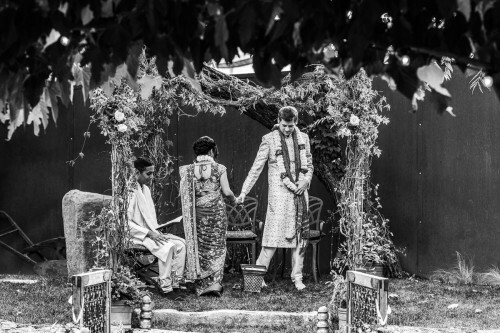 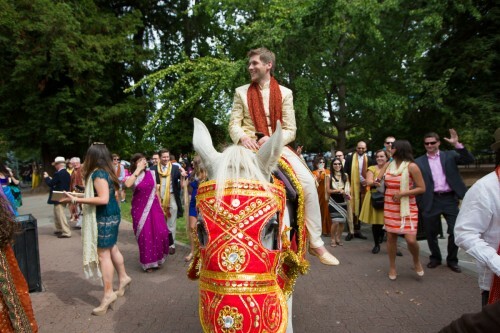 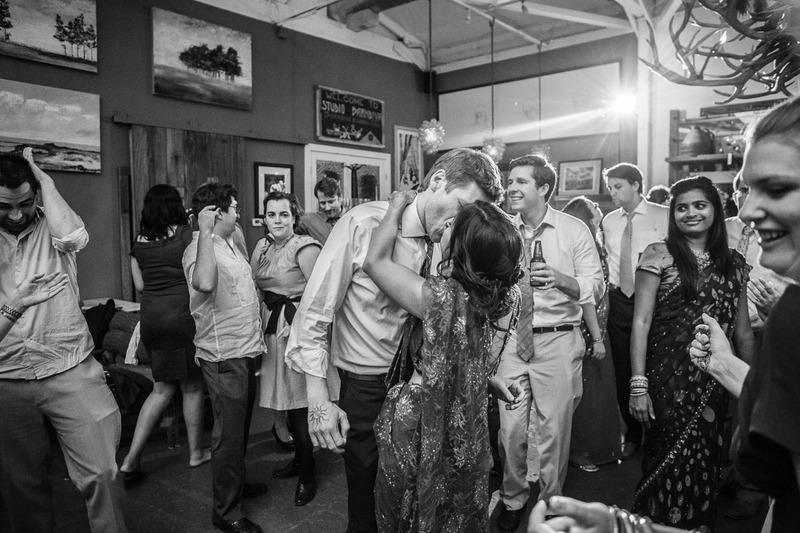 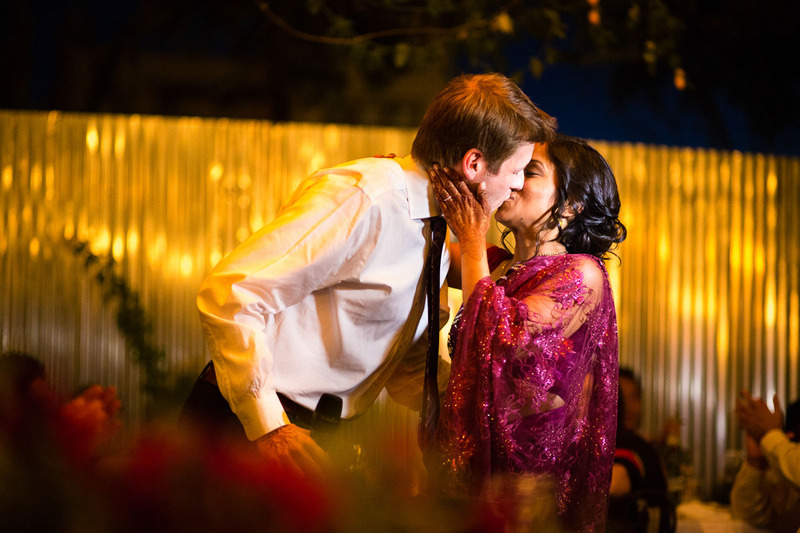 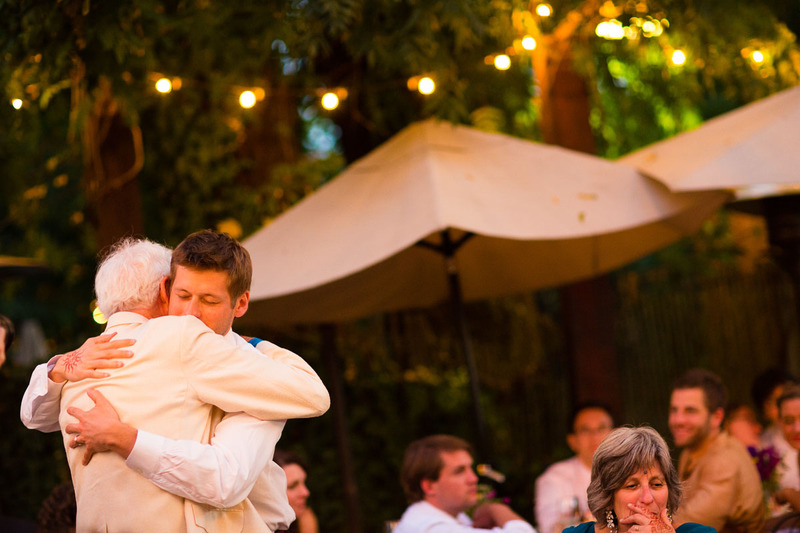 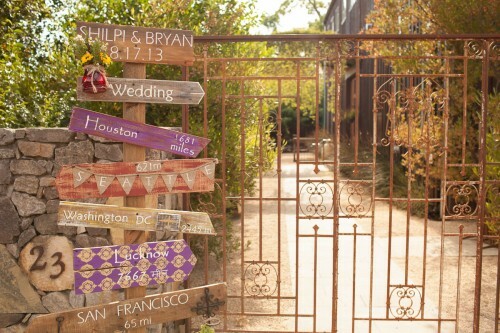 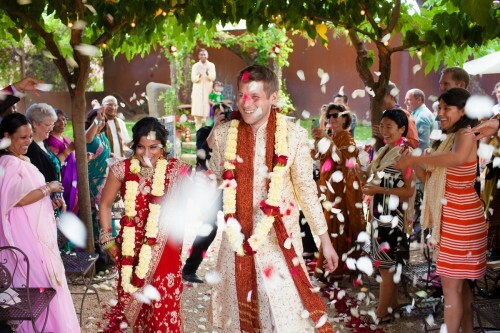 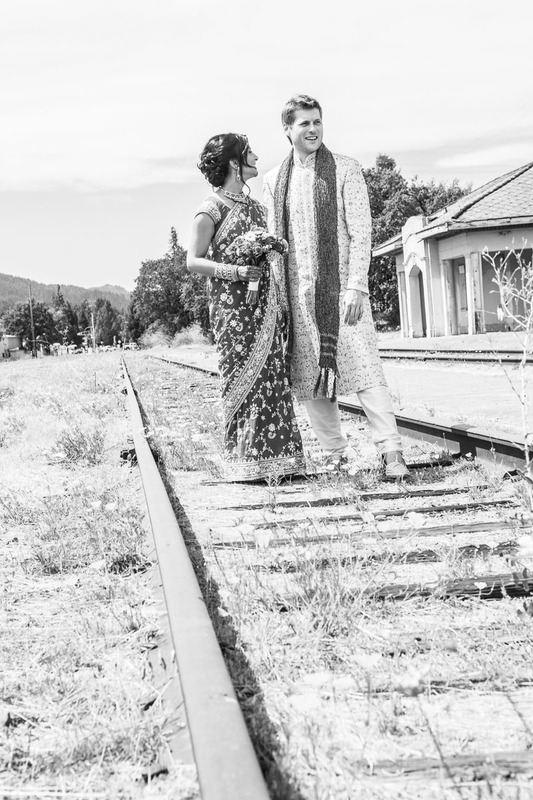 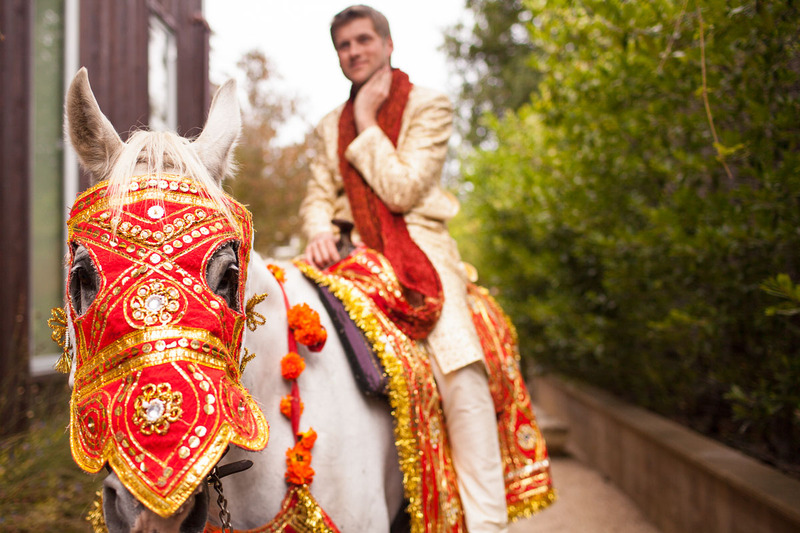 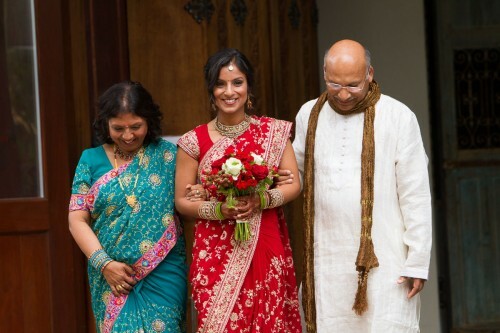 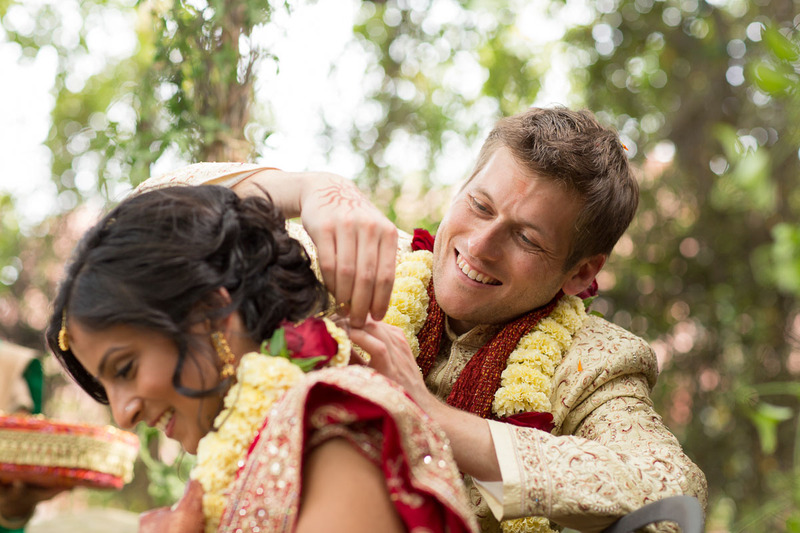 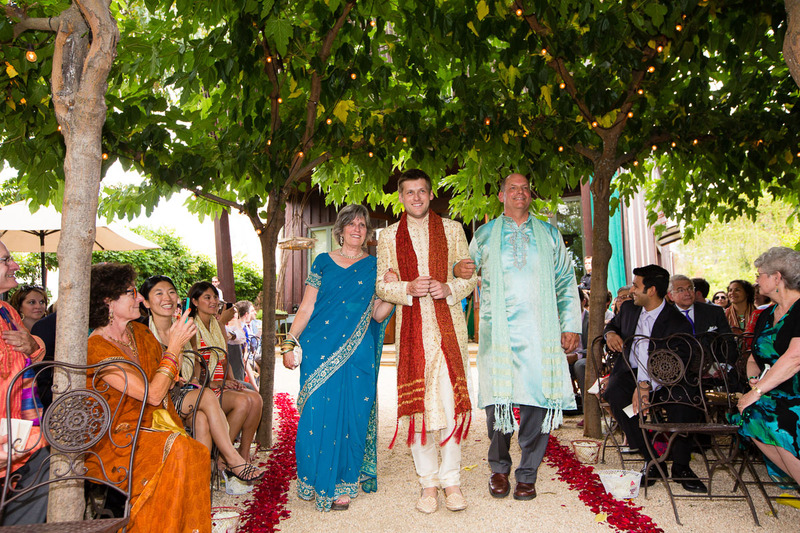 Shilpi and Bryan picked Barndiva, a famous restaurant in Healdsburg as their wedding venue. 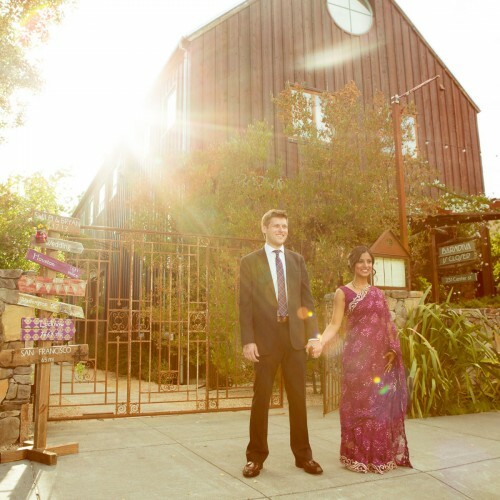 Barndiva is conveniently located in the heart of Healdsburg, just a short walk away from the stylish h2 Hotel where Shilpi was getting ready and many of their guests stayed. 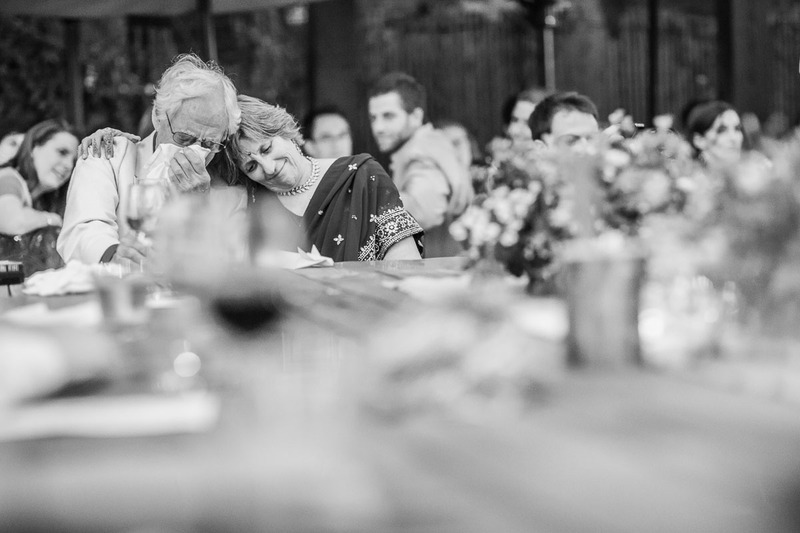 Indian weddings are always exciting to document, especially when you get to work with such an delightful couple. The festivities started off with the traditional "Baraat", in which the groom approaches the ceremony site on horseback. 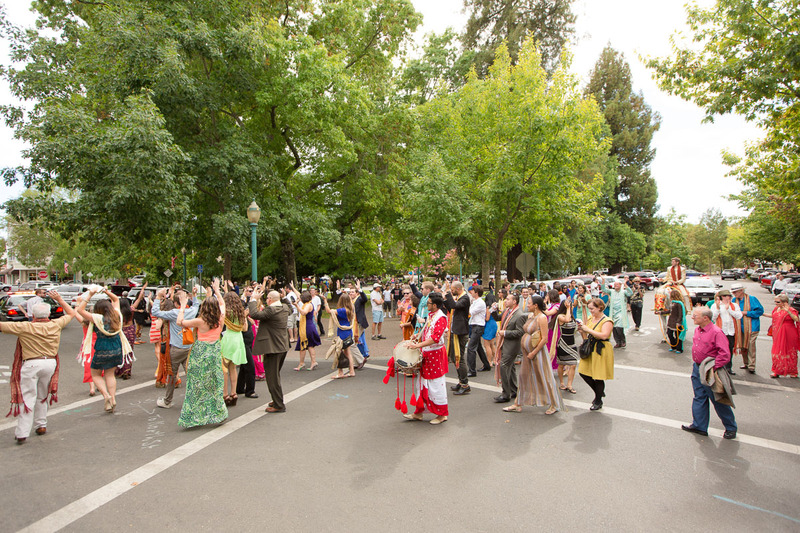 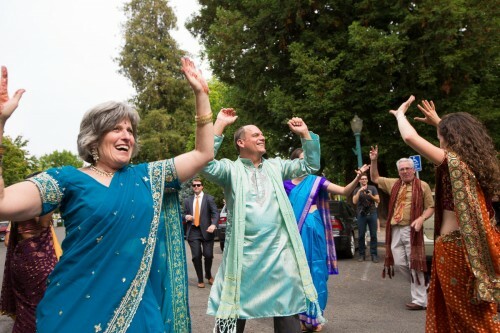 It was Healdsburg's first "Baraat on the Square", and we thought it was pretty awesome that they closed down the streets for this Indian tradition. Amongst tourists looking on, the wedding party made their way to the reception site dancing and singing. 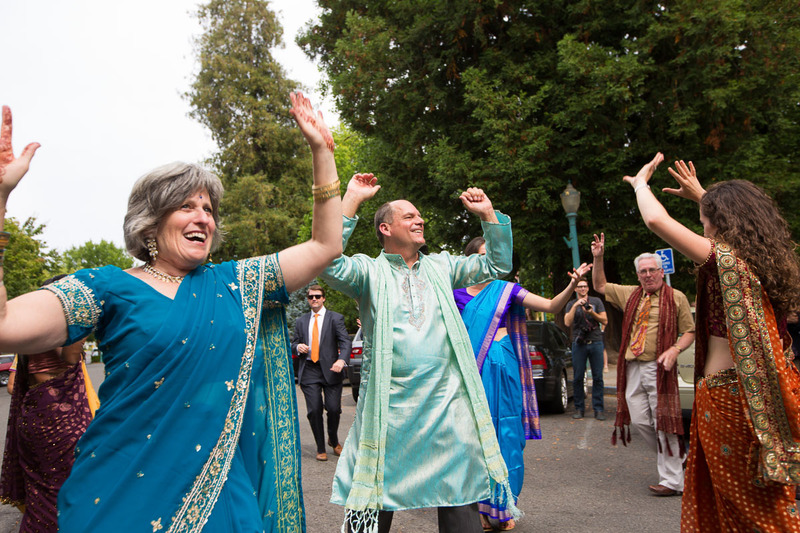 It has to be said that the western contingent was just as much (if not more) into dancing to the drums as their Indian counterparts. 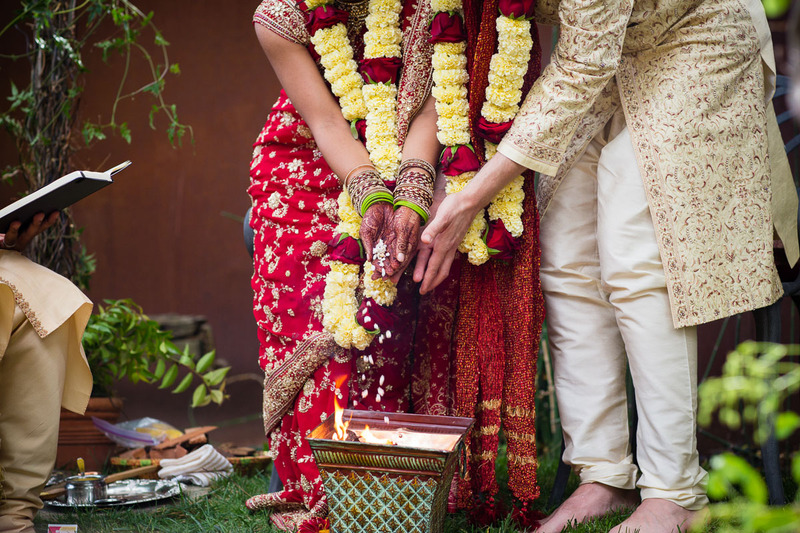 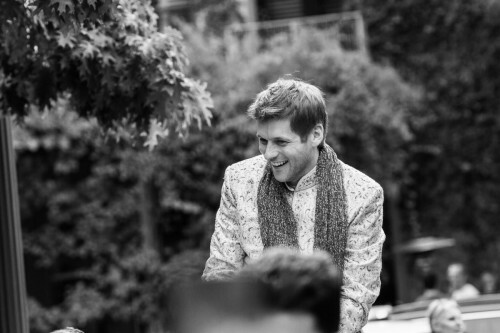 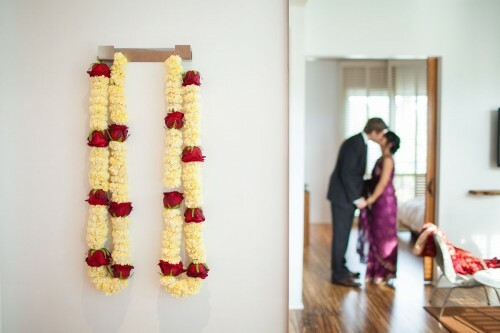 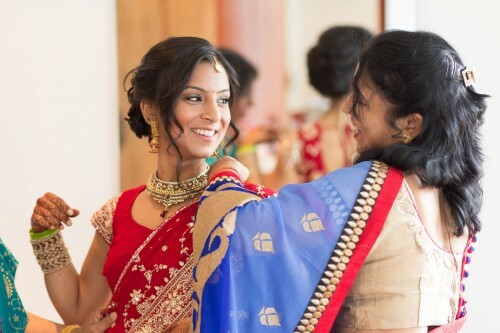 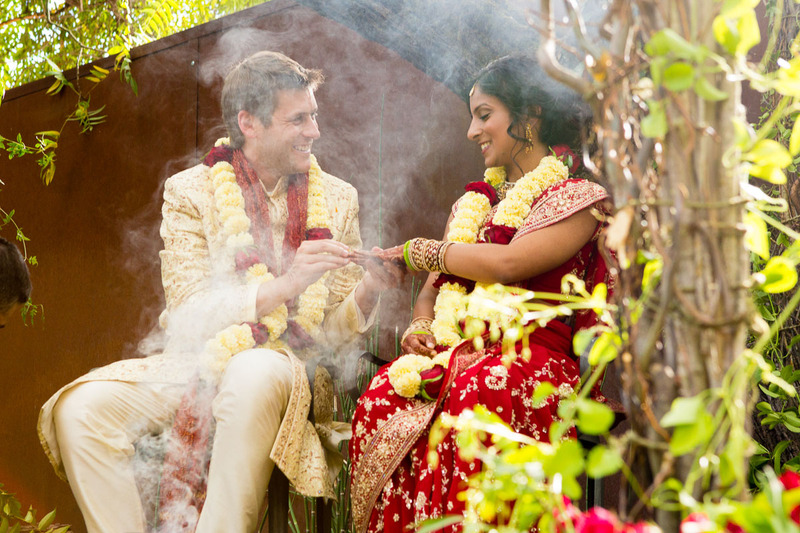 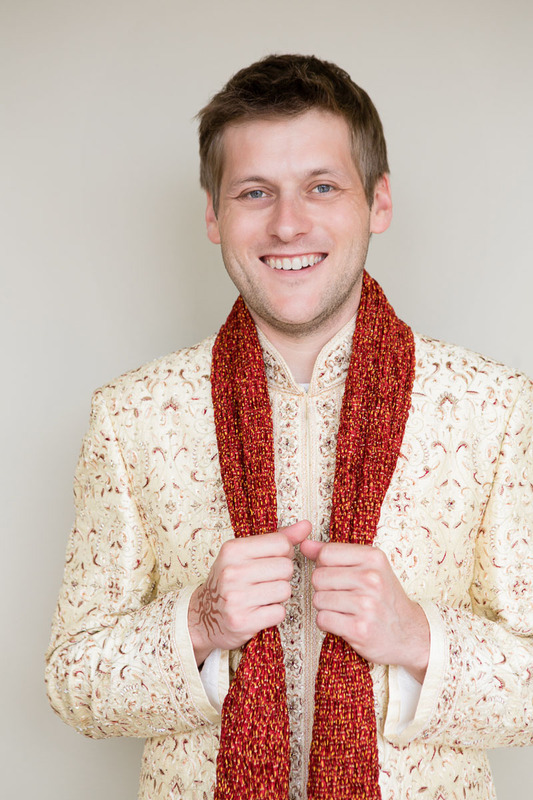 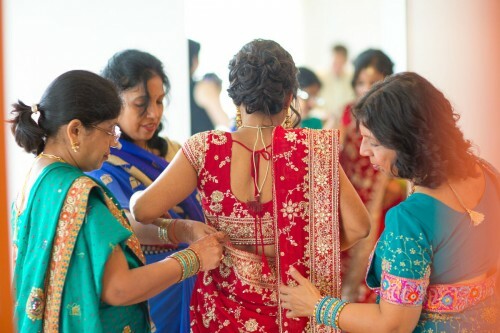 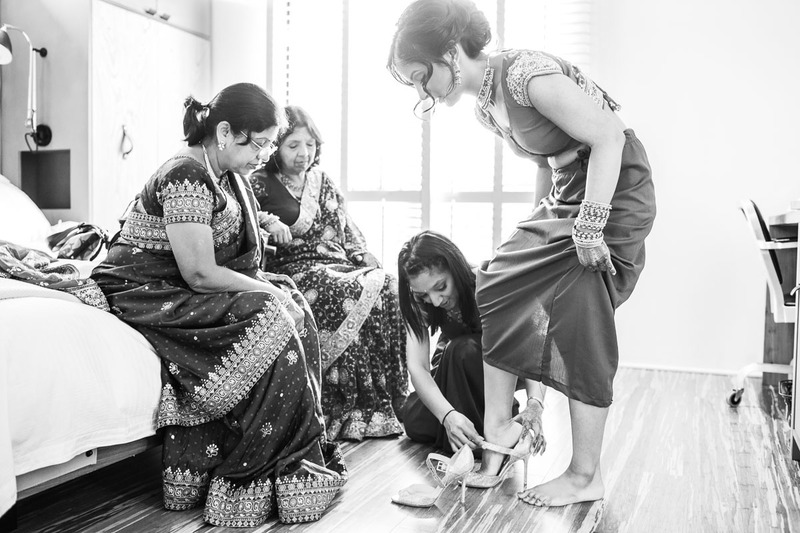 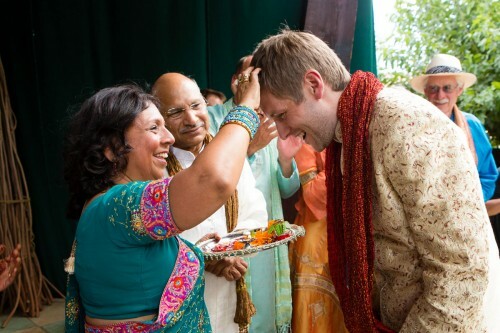 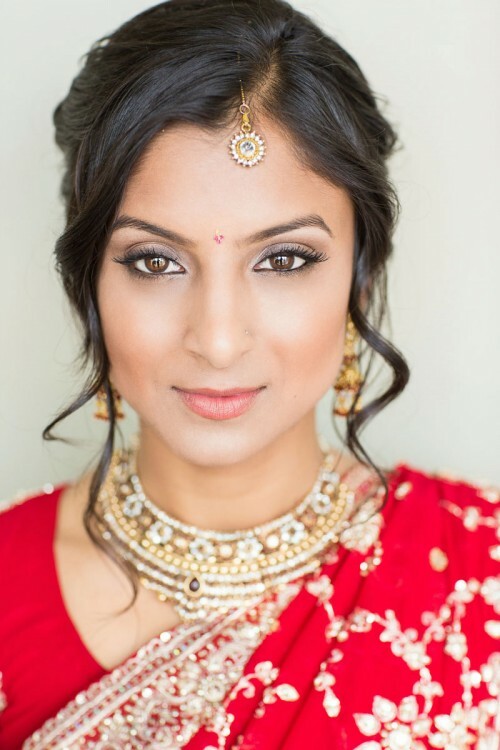 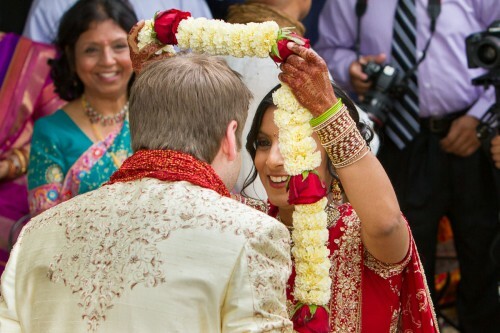 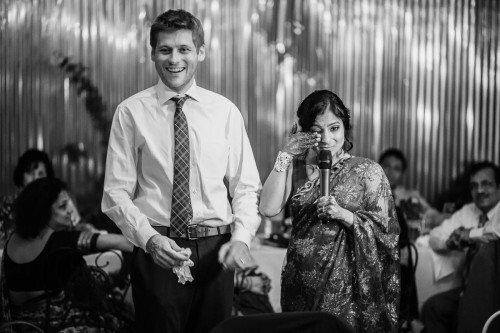 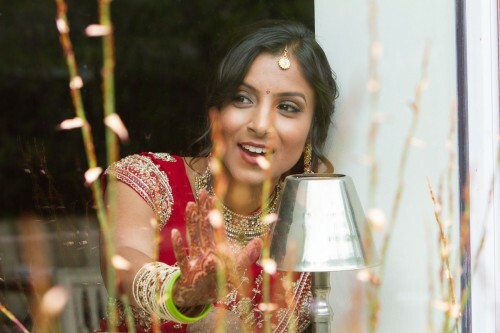 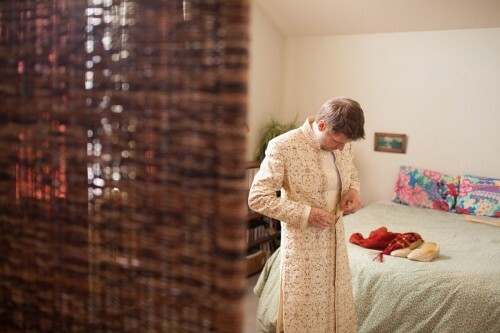 Shilpi and Bryan wanted their wedding ceremony to reflect their diverse cultures. The ceremony combined Hindu and some Jewish traditions making it truly special and unique. 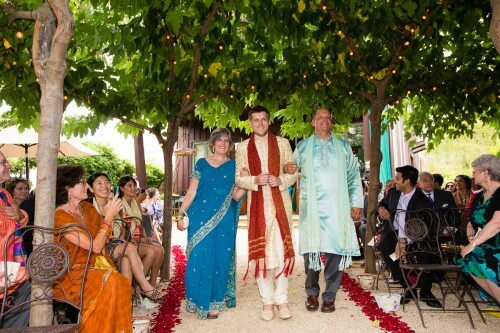 Following the ceremony, guests were invited for cocktails while Shilpi and Bryan slipped into some more comfortable clothing. 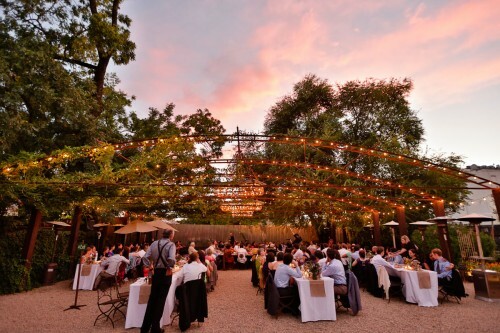 Dinner and speeches were held outdoors under a canopy of vines with a gorgeous sunset in the background. 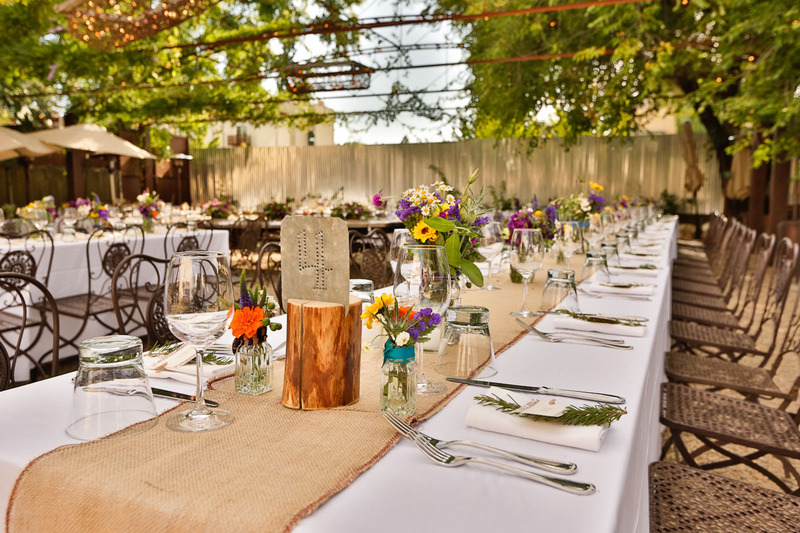 Barndiva is know for it's locally grown, sustainibly sourced organic food and their plated dinner service did not disappoint. 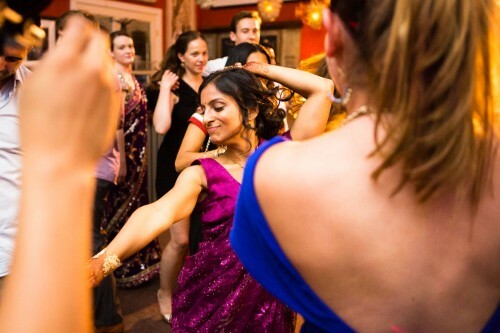 The evening ended with spirited dancing well into the night.